What does an “energy efficient” home look like? Does it look high-tech, ultra-modern, industrial? Perhaps, but an energy efficient home also looks just like any one of our Southern Serenity homes. 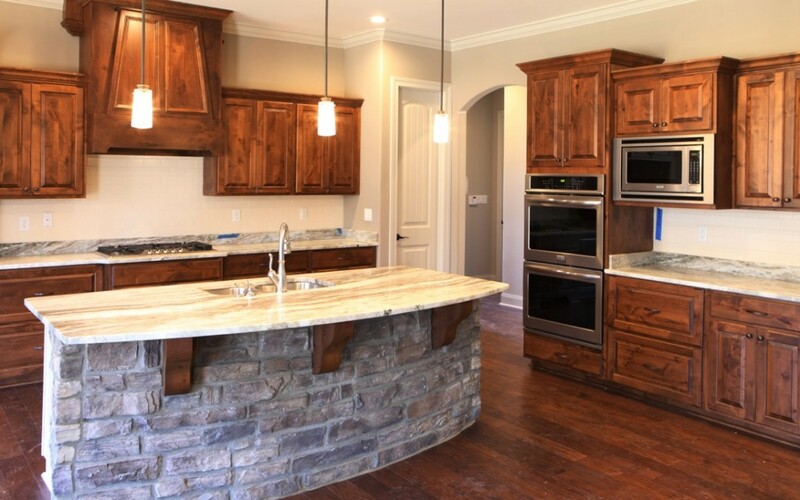 From construction elements to appliances, we strive to build homes that seamlessly incorporate as many energy-saving features as possible without compromising appearance and comfort. *Optimum Value Engineering (OVE): a framing technique in which less lumber is used – and therefore generating less waste – and more insulation utilized. The result is a building proven to be structurally sound while reducing heating and cooling costs by as much as 5 percent. *Structural Insulated Panels (SIPs): a high performance building system utilizing panels which consist of an insulating foam core sandwiched between two structural facings, typically oriented strand board (OSB). SIPs are extremely strong, energy efficient and cost effective. *Insulating Concrete Forms (ICF): forms used to hold fresh concrete that remain in place permanently, providing insulation for the structure they enclose. A well-designed and well-constructed home with an eye toward energy-efficiency will be insulated with materials that surpass local building code requirements. It’s all about the R-value and proper installation, and our builders excel in this arena. To further ensure our homes are exceedingly efficient, we utilize radiant barrier insulation in the attic space, thereby assuring that there is never more than an 8-10 degree variance in temperature from the rest of the home. Coupled with air/vapor retarders to prevent moisture in the home, properly placed windows, weatherstripping and caulking to prevent air leakage as well as controlled ventilation, Southern Serenity homes are tight, sound and efficient. Beyond construction considerations are necessities such as heating, ventilation and air-conditioning with not only climate influencing the appropriate equipment choices; the characteristics of the thermal envelope will guide selection of the appropriate HVAC unit. However, the heating and cooling system is not exclusively responsible for efficiently maintaining the temperature of the home. Windows, overhangs, paint color, vegetation – even appliances – are all factors that contribute to your heating and cooling loads, not to mention cost. Wait? Appliances contribute to the operation of the heating and cooling system? Any item that gives off heat, for instance, will increase the cooling load. Water heaters, dryers, dishwashers – all give off a “waste” heat and will increase the demand for cool air. Installing high-efficiency appliances will not only help keep energy bills down; they reduce pollution and your carbon footprint. “Energy efficient.” “Green.” “Eco-friendly.” These are no longer just buzzwords but are part of the language of home building. Energy efficiency is not just trendy; it is the trend in residential construction. Southern Serenity incorporates tried and true building methods and materials with the evolving technology available to maximize the efficiency of the homes we build, providing homeowners with superior comfort, savings in energy costs and value for their investment.